Travelocity is having a 2- day sale where you can score $100 off Participating Hotels (Min. Spend $350.) Or you can get $170 off Flight + Hotel (Min. Spend $1,700 and 4 nights or longer.) But, hurry the sale is only good through 1/28/15. Use the promotional code 2DAY100 for $100 off $350 or more on 3 nights or longer on a Travelocity Rate hotel stay. Or use promo code 2DAY170 is valid for $170 off $1700 or more on a Travelocity Rate hotel stay + flight. See terms and conditions for exclusions. Special offers are only available at participating hotels. Prices shown above include applicable discount. Hotel savings are based upon Travelocity’s everyday hotel rates, excluding taxes and other fees. Minimum stay may be required. Sample pricing varies by hotel with travel through December 31, 2015. Sample pricing is per person based on double occupancy. Offers are subject to availability and may be discontinued without notice. Additional restrictions and blackout dates may apply. BOOK HOTEL ONLY AND SAVE $100 ON $350 OR MORE on 3 nights or longer. Use the promotional code 2DAY100 for $100 off $350 or more on 3 nights or longer on a Travelocity Rate hotel stay which must be redeemed on Travelocity.com by 11:59 PM (Pacific Time) on January 28, 2015. Travel must be completed by December 31, 2015. The Promo Code is valid only for qualifying bookings made on the Site or by calling Travelocity at 1-855-201-7800. Limit one (1) coupon per qualifying hotel booking. Minimum 3 Nights or longer. A qualifying booking means a Travelocity Rate hotel, which is offered on the Site during the Promotion Period. Valid only on first room in booking. Not valid on Pay Later Hotel Options. Not valid on Top Secret Hotels. Most national brand chain hotels are excluded. For a complete list of excluded chains see below: Promo Code Hotel Exclusions. Bookings are subject to availability at Travelocity Rate hotels at the time of booking and all applicable terms and conditions. 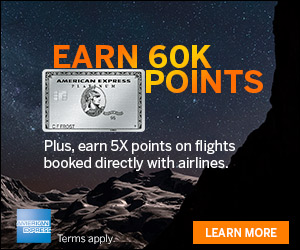 This offer is from Travelocity.com and is valid for Travelocity.com U.S. customers only. Promo Code may not be used with other coupons, promotions or special offers. Promo Code may be redeemed once and only during the Promotion Period. Promo Code discount cannot be applied against taxes, supplier-charged fees, cancellation or change penalties, administrative fees, processing fee and facilitation fee, or other miscellaneous charges, which are the sole responsibility of the customer. Promo Code will be deemed fully used once a qualifying booking has been made and may not be reused. In the event that you change or cancel any part of your booking, the Promo Code will not apply to the changed travel schedule. Terms and Conditions of this Promo Code are as written and cannot be changed by any representation of any unauthorized person, including employees or representatives of Travelocity. Promo Code is not transferable and is not redeemable for cash. Void where prohibited by law. Travelocity may revoke or change this offer at any time. Travelocity reserves the right to change these Terms and Conditions from time to time in its sole discretion. In the event of any violation of these Terms and Conditions, Travelocity reserves all of the rights and remedies available to Travelocity including charging the credit card used to make the purchase for the amount of the Promo Code not to exceed the promo code amount, canceling your reservation without a refund to you, and all other remedies available to Travelocity. The promotional code 2DAY170 is valid for $170 off $1700 or more on a Travelocity Rate hotel stay + flight and must be redeemed on Travelocity.com by 11:59 PM (Pacific Time) on January 28, 2015. Travel by December 31, 2015. Limit one (1) coupon per qualifying flight + hotel booking. The price of the qualifying booking must be at least $1700 or more before taxes and fees. Minimum 4 night stay or longer. Not valid on Las Vegas Flight + Hotel package bookings. A qualifying Flight+Hotel vacation package must contain a hotel stay in the same regional area as the destination airport of the flight component of the booking. To redeem the Promo Code, you simply type code into the Promotional Code field on the Checkout Review Page of the Site, and Promo Code Amount will be automatically deducted from the final price of your qualifying Flight + Hotel Vacation Package. You may only redeem the Promo Code once and only during the Promotion Period. You may not redeem or exchange the Promo Code for cash. 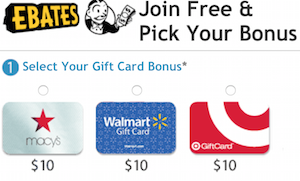 You may not use or combine the Promo Code with any other promotional codes. If lost or stolen, the Promo Code will not be replaced. 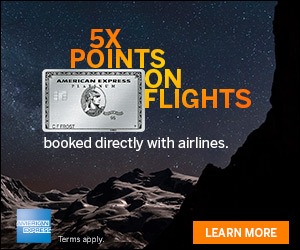 Travelocity prohibits posting the Promo Code on the Internet or any public forum, or forwarding the Promo Code to any other person. In the event of any violation of these Terms & Conditions, Travelocity reserves all of the rights and remedies available to Travelocity including charging the credit card used to make the purchase for the amount of the Promo Code, canceling your reservation without a refund to you, and all other remedies available to Travelocity. TRAVELOCITY MAKES NO WARRANTIES, EXPRESS OR IMPLIED, WITH RESPECT TO PROMOTIONAL CODES, INCLUDING WITHOUT LIMITATION, ANY EXPRESS OR IMPLIED WARRANTY OF MERCHANTABILITY OR FITNESS FOR A PARTICULAR PURPOSE. IN THE EVENT A PROMO CODE IS NOT FUNCTIONAL, YOUR SOLE REMEDY, AND THE SOLE LIABILITY OF TRAVELOCITY SHALL BE THE REPLACEMENT OF THE NON-FUNCTIONING PROMO CODE. Travelocity reserves the right to change these Terms and Conditions from time to time in its sole discretion. Limit one Promo Code per transaction. If you are looking to book something on Travelocity, this sale might help you out. You will need to book a hotel stay of 3 nights or more for $350 to take advantage of the $100 off promo code which doesn’t sound too hard to do. The promo for $170 off $1700 or more on a Travelocity Rate hotel stay + flight doesn’t seem as good because you have to stay 4 nights and spend $1700 but, it might help someone. Must book by 11:59 PM (Pacific Time) on January 28, 2015. Travel is good through the end of 2015!